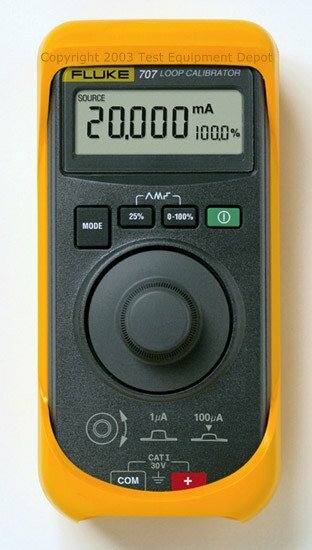 Click your way to the precise milliamp value you want with the Fluke 707's new Quick Click interface. Each click changes the value by 0.001 mA. Press and click to change it in increments of 0.100 mA. The large digital display shows you. The click lets you feel it.